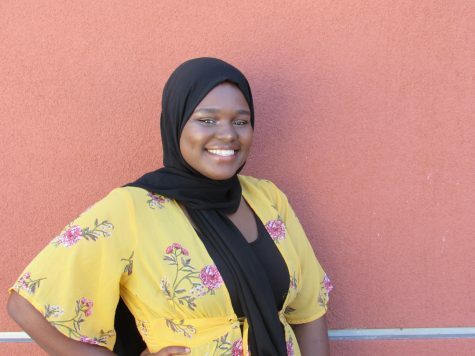 Asha Noor is a student at Hoover High School. Asha is a very bright student that is all about her education and makes sure she doesn't give up on herself. She likes helping people out no matter what situation she's in. She is a sophomore and is 15 years old. She was born in Kenya, raised in Wisconsin, and now lives in San Diego. She enjoys learning new things, being on social media, and plays sports. Her favorite sports are soccer and volleyball. Her important goal is to finish high school and major in nursing to be a OBGYN nurse or a Midwife. She's gonna make sure she makes it there and in order to do that she's going to work hard for herself. Asha’s favorite food is rice and chicken. She has seven siblings; five girls, and two boys. She enjoys photography and hopes to do it for the rest of her stay at Hoover.